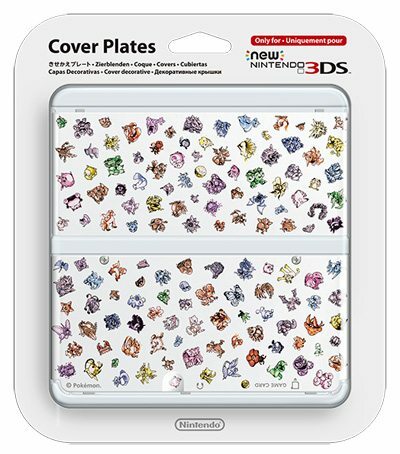 Nintendo has shared plans to release New Nintendo 3DS Cover Plates to help mark Pokémon’s 20th Anniversary celebrations next year. The plates are covered in colour Pokémon sprites from first generation iterations Pokémon Red, Blue and Yellow, and are the 72nd to be released for the revised handheld design. Alongside this, Nintendo and The Pokémon Company have plans to release Nintendo 2DS bundles that will include copies of Pokémon Red, Blue, Green or Yellow, a code to download Mew, a map, 3DS HOME Menu theme and a sticker set. The Pokémon 20th Anniversary New Nintendo 3DS Cover Plates will become available at retailers across Japan on February 27th.